This high low hemmed mid-calf length skirt is so flirty and fun to wear! 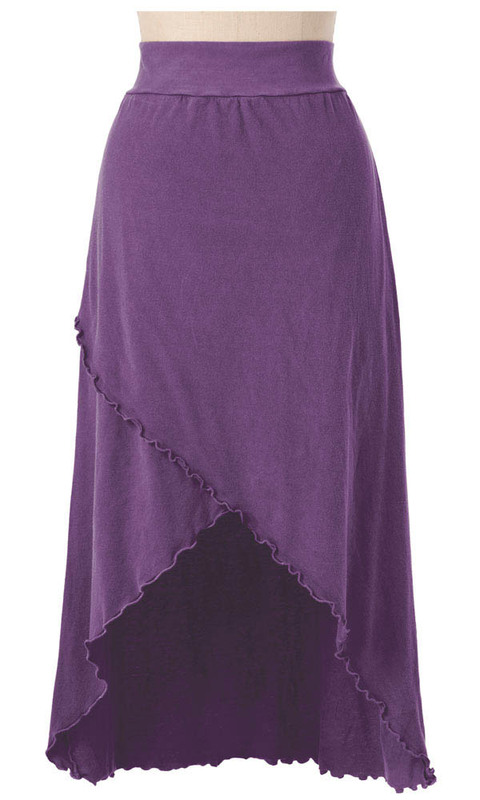 It is made of our organic cotton jersey and features merrowed edges all around, which continue diagonally up the skirt. Medium length is approximately 38", which includes a 2" waistband.